I really enjoyed both the physical and social aspects of team sports growing up, especially during my time playing soccer, volleyball and running cross country. In college, I was solely running for workouts, and knew that I was missing something. I started CrossFit in California in 2009 and was immediately hooked by the competitive and encouraging atmosphere. I had found an outlet that allowed me to continuously challenge myself—discovering what my body was capable of alongside like-minded individuals was just the motivation I had been looking for. 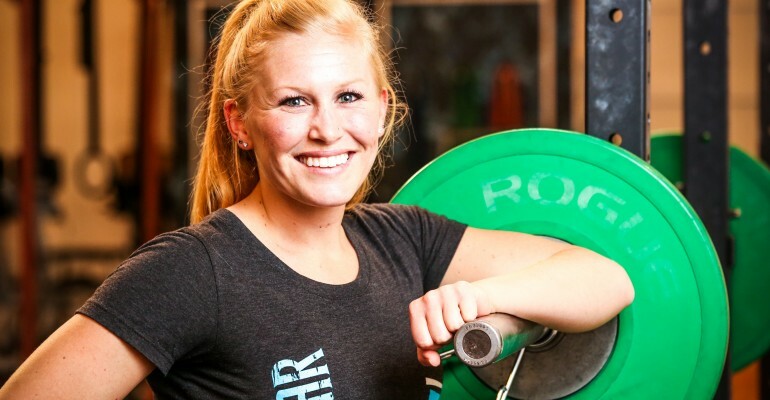 I researched CrossFit gyms before moving to DC and MPH overwhelmingly stood out as possessing three important qualities: focus on technique, attention to programming, and dedicated coaching. I had the intention of trying out multiple gyms, but after one workout at MPH, I didn’t need to—I had made up my mind! From the beginning, Rebekka, Melody and the other coaches have pushed me to improve my form and work on my weaknesses. They challenged me in a way that I knew I needed, but hadn’t gotten previously. Beyond that, the community at MPH is stellar and was also part of the draw. Every class is fun and full of laughter, regardless of how hard the workout may be. I can still remember the feeling of empowerment that came from completing my first unassisted pull-up and my first muscle up years later. As coach at MPH, it is an honor to be a part of people’s fitness experience and accomplishments in the gym. CrossFit has been a huge factor in helping me achieve my personal fitness goals and I hope to use my experience to help others achieve their goals, too.